The team behind the new Ghostbusters film keeps teasing us with snippets. The last thing we showed you was pictures of props and the Ecto-1. But get this. Someone just dropped a pic of the first team photo of the all-new, all-ladies Ghostbusters on gaming forum NeoGaf. 'Ghostbusters' team photo, via NeoGaf. 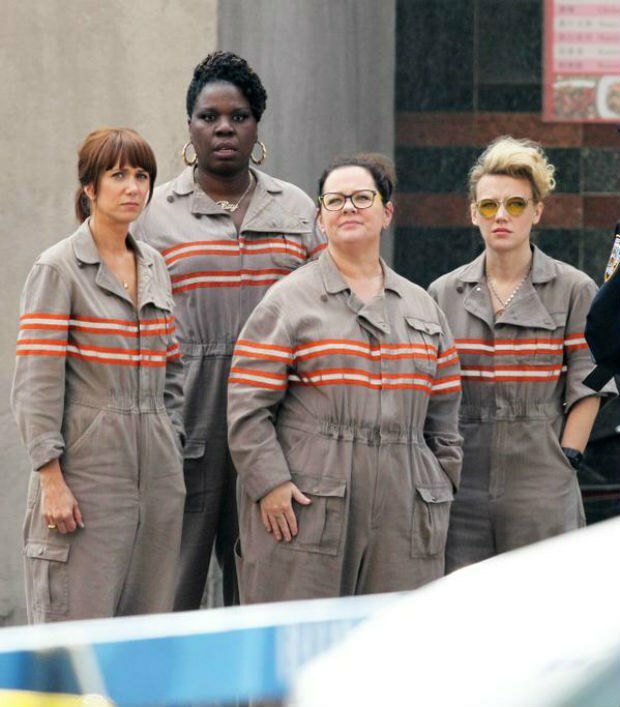 Melissa McCarthy, Kristen Wiig, Kate McKinnon, and Leslie Jones look great, we just wish they had their proton packs on though. Props to Kate McKinnon for stealing Harold Raimis’ ‘do though. Ghostbusters is slated for release in July 2016.